Right on cue, Research in Motion (now known as BlackBerry) unveiled the brand new, reimagined BlackBerry 10 operating system, along with the first two smartphones that will run it. The event was broadcast live via online stream so that anyone around the world could enjoy the show. What, did you miss it? Then worry not as you've come to the right place. Only minutes after the announcement's end, a complete, 1 hour and 13 minutes recording of it was made available for streaming. You can watch it over and over and over again, pause, rewind, or skip over the boring parts (as if there were any). 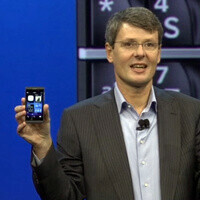 Here's the link for you, guys – watch the BlackBerry 10 announcement video here.